During the height of the real estate boom in Las Vegas, we looked at two sites for a developer interested in building condo-hotel projects. But rather than simply look at other similar projects in the area and call it a day -- which was common for many amateurish market studies -- we undertook a much deeper analysis of the lodging market in order to ascertain occupancy rates, future supply, the level of visitors, how many visitors were there for business versus pleasure, how long they stayed and how much they paid for their rooms in order to translate that into a potential carrying costs for a mortgage, HOA, taxes and insurance. Then we also looked at what visitors would pay to rent out condominiums that weren't related to a hotel or its services. Our conclusion? A very risky proposition unless the property was flagged under an international luxury hotel brand such as the Ritz-Carlton, Mandarin Oriential or Four Seasons due not just due to over-supply, but a complete lack of transparency on pricing and potential income from renting out these units through the hotel. When developers deliberately hide information such as this from appraisers and consultants (which was a fairly common occurrence at Las Vegas high-rise projects and forced us to pretend to be buyers), it's hard to believe they were being honest to buyers regarding actual income from joining the rental pool. After all, how can you provide such estimates to buyers when you've done no such analysis on your own? "It's been a very bad investment," said Moji Adekunbi, a 47-year-old engineer, who bought a $550,000 condo-hotel unit in the Signature at the MGM Grand in 2005 in Las Vegas, where one of every four hotel rooms being developed is a condo-hotel unit. Mr. Adekunbi counted on the cash flow from renting out his unit more than covering his $3,000-a-month mortgage payment, leaving him with a tidy profit. He said the developer's sales staff led him to believe that the hotel would have 94% occupancy and $350-a-night rates, Turns out, he said he is netting only between $400 and $1,800 a month before his mortgage payment. "I am in so much debt. I don't know how long I can sustain this," Mr. Adekunbi said. Making matters worse, many markets for these rooms are weak, meaning owners might lose much of their investment if they sell. Representatives for the developer and the hotel operator said hotel-rental projections weren't discussed with customers before they bought their units, and some buyers made their own assumptions about rental income. "Some people's assumptions didn't pay off, and they are trying to find someone to blame," said MGM spokesman Alan Feldman. "...projections weren't discussed with customers before they bought their units..."
Oh, really? Then exactly how were buyers convinced to spend the 25% to 30% premium to buy a hotel-condo unit versus a traditional condo? Financial osmosis? In my experience, sales agents routinely ventured such guesses, so I'd be surprised if MGM was the sole exception. During the real-estate boom, many Americans scrambled to buy anything they could -- office condos, warehouse condos and high-rise residential condos, which are crowding the skyline of cities such as Miami. At the Trump International Hotel & Tower in Las Vegas a group of condo-hotel owners are clamoring to rent out their own hotel units using their own operator because they said Trump takes too much of the rental revenue. A Trump spokesman said the company's rental agreements are competitive with other condo-hotel rental-management companies in the area. In other condo-hotel developments, a few buyers are talking to the SEC, alleging possible securities fraud, according to their attorneys. One issue could be whether developers sold these units as investments, which should have been registered with the SEC or other regulators. In some cases, lawyers said, a real-estate offering may be comparable to a security if the offering creates expectations of profits resulting from the efforts of a third party. An SEC spokesman declined to comment. Historically, the SEC has suggested it wouldn't take enforcement actions against a condo-hotel developer as long as the company didn't provide prospective buyers with projections of income or expected occupancy, among other conditions. They were always trying to preach to people that the market is hot. This is a no-brainer. You'd better get in quick," said Mr. Trombley, 40 years old, who spent most of his career with the Minnesota Twins and Baltimore Orioles. In 2005, Mr. Trombley, along with five friends and family members, bought five units in the development for a total of about $2.2 million, according to his attorney, Bruce Barnes, taking out loans to finance the entire purchase price. Mr. Trombley estimates the four units he holds are worth at best 40% of the original purchase price, he said. Carrying costs, meanwhile, are running about $14,000 a month. Can you say 'class action lawsuit?' All it takes is finding that single ad or getting corroborating testimony and perhaps those buyers can form a class. 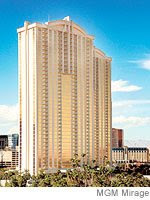 http://www.buyvacationcondos.com/WhyaCondo-Hotel Here is advertisement. I fell for it also by buying in Miami Beach and was told about how much income I should expect each month. I do earn anywhere between $1500 and $3000 each quarter, but not enough to pay the mortgage and ever increasing condo fees.